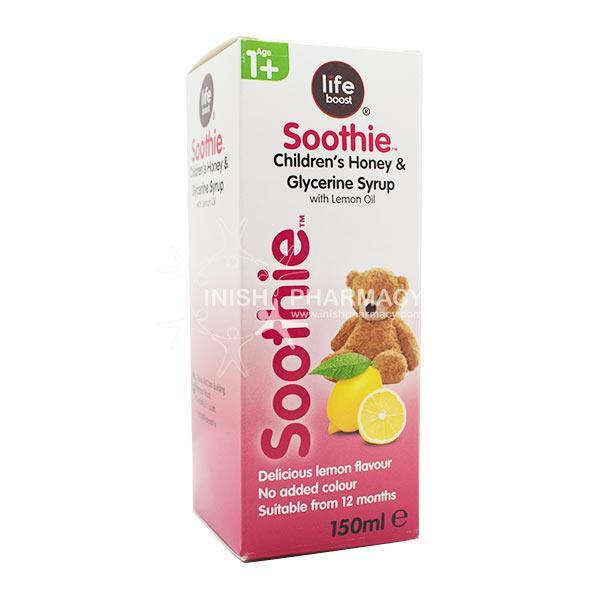 Soothie with honey and lemon is a glycerine syrup that helps soothe aching throats and coughs. With its delicious lemon flavour, it is easy to take and no added colour. Suitable or age 1 and upwards.